Allen Tate Realtors® in the Charlotte region recently raised $75,000 to benefit public education, as part of the company’s 17th Annual FUNday event. On FUNday, Allen Tate agents, employees and guests “pay to play” and raise money for local public education organizations. Since it began 17 years ago, FUNday has taken the form of a field day, tailgate picnic, community workday, and evening reception. This year, FUNday was held as four separate regional events through the company’s footprint in North and South Carolina. To date, FUNday has raised more than $1.38 million for public education across the Carolinas. 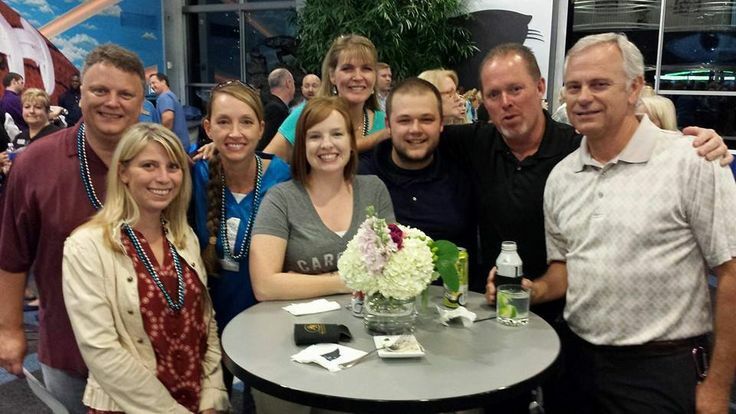 Approximately 500 people attended the Charlotte event on October 9, an evening tailgate and reception in the Panthers’ Den at Bank of America Stadium. The festivities included silent and live auctions, 50/50 raffle, wine pull, and exclusive, behind-the-scenes tours of the stadium and Carolina Panthers’ facilities. “The money we raise each year at our FUNday fundraiser goes directly to benefit the schools in our local communities – which in turn, make our region stronger and more desirable,” said Stephanie Gossett, FUNday Charlotte event chairperson. Local education organizations that will benefit from Allen Tate FUNday dollars include Communities in Schools, Teach for America, NCBest and MeckEd. FUNday is made possible through the support of national, regional and local sponsors. Superbowl sponsor ($5,000) for the Charlotte event was River Run. Touchdown sponsors ($3,000) included AV Homes, Quantum Digital, True Homes, 2-10 Home Buyers Warranty, Our State magazine and Realtor.com. Field Goal sponsors ($2,000) were H&H Homes, John Wieland Homes and Neighborhoods, Riverwalk Carolinas, Office Depot/Office Max, United Printing, Coley Law Firm and Cannon Solutions America. Allen Tate is the Carolinas’ largest real estate company with 23 local offices in the Charlotte region and a total of 40 offices in North and South Carolina.